After much speculation, it has been confirmed that the London revival of Miss Saigon will land on Broadway in spring 2017. Directed by School of Rock and Les Miz's Laurence Connor, the West End's leads, Eva Noblezada and Jon Jon Briones, are set to cross the pond with the Boublil and Schönberg tuner. The production will play a limited engagement at a Shubert theater to be announced through January 15, 2018, before going on a U.S. national tour. First performance and opening night dates will be released later. As previously reported, the West End production of Miss Saigon is scheduled to close at the Prince Edward Theatre to make way for Aladdin on February 27, 2016. 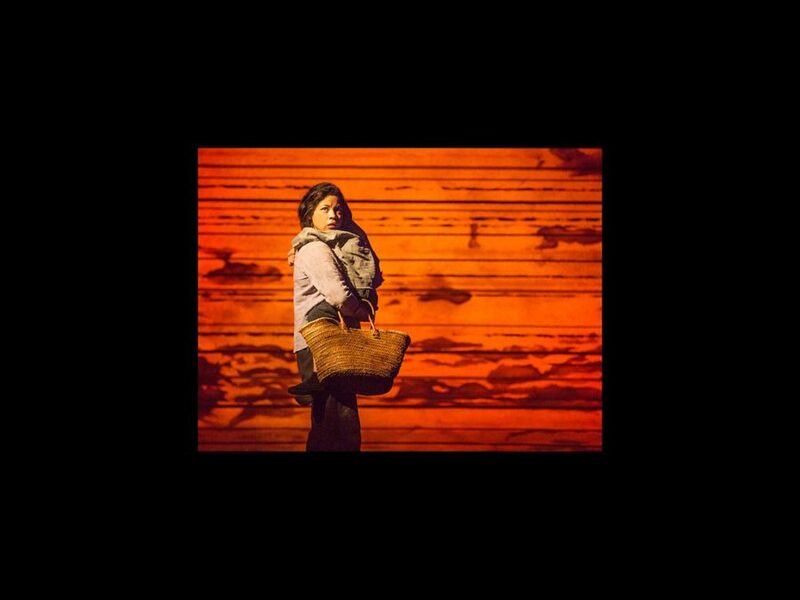 This latest incarnation of Miss Saigon will also helicopter into Japan in 2016, before heading to Germany, Australia, Asia and on tour around the U.K., Europe and the Middle East. Cameron Mackintosh, the production's producer, additionally told the The New York Times that he is still hoping to bring Hamilton to London in 2017 and that the Broadway revival of Cats remains in the works. Set in 1975 during the final days of the American occupation of Saigon, Miss Saigon is an epic love story about the relationship between an American GI and a young Vietnamese woman. Orphaned by war, 17-year-old Kim is forced to work as a bar girl in a sleazy Saigon nightclub, owned by a notorious wheeler-dealer known as "The Engineer." John, an American GI, buys his friend Chris the services of Kim for the night—a night that will change their lives forever. The West End company currently includes Noblezada as Kim, Briones as The Engineer, Chris Peluso as Chris, Siobhan Dillon as Ellen, Hugh Maynard as John, Sangwoong Jo as Thuy and Natalie Mendoza as Gigi. The original production of Miss Saigon opened at the Great White Way's Broadway Theatre on April 11, 1991 and shuttered on January 28, 2001. At time of closing it had played 19 previews and 4092 regular performances.